Why have conspiracy theories concerning the Renaissance only extended as far as Da Vinci and his precocious engineering designs? All of you conspiracy theorists have been delusional so far, particularly relating to UFOs and little green men for you've never perhaps paid attention to what's majestically shimmering right in front your very eyes. You've gloriously managed to ignore the most reliable evidence for the existence of other life forms and their benevolent visits to our planet. Simply give it a good look and think to yourselves as to who possibly human can create the object that is depicted in the picture above. Clearly this object is the most unquestionably valid evidence that aliens do indeed exist and have been visiting our planet Earth for centuries on. 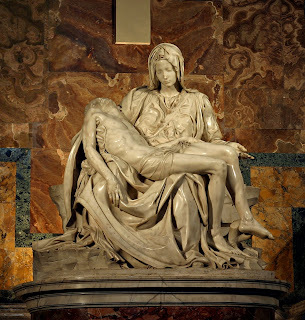 I turn to all you delusional Fausts that comprise the great majority of the conspiracy theorists, and challenge you to dispute this view because after all only Michelangelo himself can claim what's naturally his whereas you, well you are only left with a juicy bone to salivate over and are cheated out in advance.